As it is usually the case with islands, Hvar is mostly reached by boats. 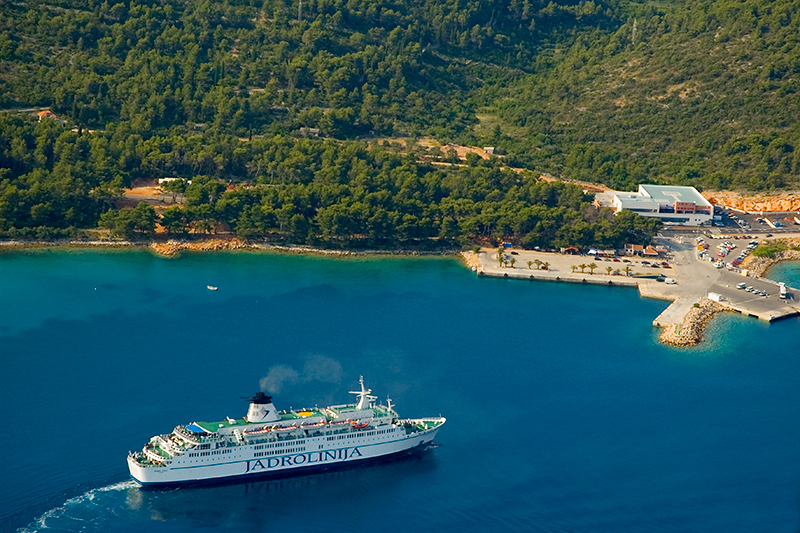 Although there are other means of transport, the majority of passengers arrive by ferries to the biggest island port, the Port of Stari Grad as well as the Port of Sućuraj. The Port of Stari Grad, situated in Stari Grad bay is 1.5 km away from Stari Grad, 11 km away from Jelsa and 20 km away from the city of Hvar. It is also an international port with ferry routes operating to Italy. The other ferry port, the Port of Sućuraj, connects the easternmost point of the island of Hvar to the mainland 2 NM away. The Port of Sućuraj is 50 km away from Jelsa, 60 km away from Stari Grad and 80 km from the city of Hvar. The island is also connected to the mainland by fast catamaran lines, to Jelsa and the city of Hvar. Catamarans also connect the island of Hvar with other islands - Brač, Vis, Korčula, Lastovo and Mljet. For all information on ferry and catamaran arrivals and departures, please visit Jadrolinija, shipping company website, and Kapetan Luka. If you are heading to the island of Hvar by your own vessel, you may sail into one of the marines: in Vrboska, Palmižana bay on St. Klement island or in nautical ports in Stari Grad, Jelsa, Sućuraj and the city of Hvar. For detailed information on arrival possibilities and your stay on the island of Hvar, please contact local Information offices in the city of Hvar, Stari Grad, Vrboska, Jelsa and Sućuraj or visit their websites.